(Bloomberg) -- Carlos Ghosn was a jet-setting captain of industry, the brash superhero who helped save both Renault SA and Nissan Motor Co. To the shock of many, he was arrested in Japan on Nov. 19 on allegations of financial misconduct. After 108 days in jail, he was released on March 6 on bail of 1 billion yen ($9 million) -- among the highest ever in Japan. A month later the former executive was re-arrested on suspicion of using money from Nissan for his own purposes. As the legal drama unfolds and prosecutors seek to build their case, Ghosn’s alleged conduct isn’t the only thing under scrutiny. So is Japan’s legal system and its near-perfect conviction rate. 1. Why was Ghosn rearrested? In Japan, it’s fairly common practice as prosecutors pursue an investigation. Authorities brought him back in April 4 on suspicion of aggravated breach of trust and using company money for personal purposes. The move came soon after Renault and Nissan were said to have uncovered payments that allegedly went toward corporate jets through an Amsterdam-based subsidiary, and toward a yacht and Ghosn’s son’s startup through intermediaries in the Middle East. Renault’s board said internal auditors found questionable expenses that “may amount to several million euros since 2010.” French authorities were alerted. 2. What was he charged with already? Filing false statements to regulators regarding income from Nissan deferred until retirement – a total of $80 million. Starting in 2009, when Japan required companies to make executive compensation public, Ghosn’s reported pay was roughly half what he had been making before, but his deferred pay ballooned, said people familiar with the probe. Japanese law requires remuneration to be reported in the year it’s fixed, even if the payout happens later, according to Kyodo News. (There are similar rules in the U.K. and being introduced across Europe.) Ghosn’s pay was an image problem in Japan and he had been called out on it before. He’s also been charged with aggravated breach of trust for acts including temporarily transferring personal investment losses to Nissan in 2008. Both charges carry a potential maximum sentence of 10 years in prison and a fine of as much as 10 million yen. 3. What does Ghosn say? Not guilty. The 65-year-old called his rearrest “outrageous and arbitrary,” accused people at Nissan, whom he didn’t identify, of trying to silence him, and declared: “I will not be broken.” Days later his lawyer, Junichiro Hironaka, released a nearly 8-minute video in which Ghosn reasserted his innocence and said he worried about getting a fair trial. He also accused “backstabbing” Nissan executives of conspiring against him because they feared their “autonomy” was under threat. A Paris-based spokeswoman for the Ghosn family previously said that reports of payments through intermediaries, use of the airplanes and the startup are part of a smear campaign. In court in January, Ghosn said the agreements for deferred pay were non-binding “draft proposals” so didn’t need to be disclosed. His French lawyer said Ghosn didn’t get the deferred pay and there is no certainty he ever would have. Regarding the trading losses, Ghosn said Nissan took on two foreign-exchange swap contracts temporarily, with board approval, and transferred them back without incurring a loss. His lawyers have said regulators looked into the case and didn’t file criminal charges. 4. Why the tension with Nissan? Renault’s almost 20-year partnership with Nissan had become strained and Nissan CEO Hiroto Saikawa had striven to re-balance what he and others at the Japanese company viewed as an increasingly lopsided relationship. Ghosn had been pushing for an outright merger, which Saikawa and others opposed. Saikawa’s quick move to oust Ghosn and denunciations of his alleged misdeeds fueled conspiracy theories about a palace coup or attempt to push France out. Saikawa has called such theories absurd. In his video, Ghosn said Nissan executives were mismanaging the company and feared for their jobs. 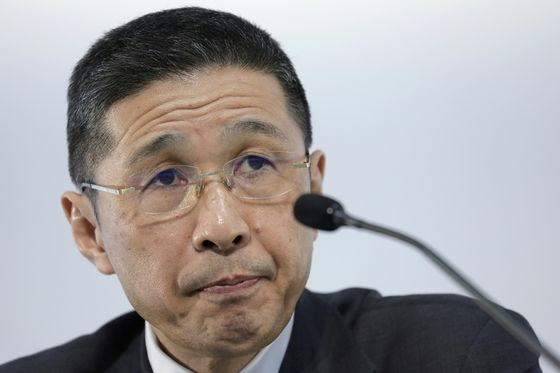 Nissan spokesman Nicholas Maxfield said: “The sole cause of this chain of events is the misconduct led by Ghosn.” In an unexpected twist, Saikawa said in January that he would resign in the coming months, but later was said to be planning to stay for at least three more years. 5. Why the long lock-ups? Suspects in Japan routinely endure lengthy pre-trial detentions and repeated grillings by prosecutors without a lawyer present. Periodically rearresting a suspect on suspicion of new charges allows prosecutors to keep the suspect in custody while attempting to build a case or secure a confession. Bail is the exception more than the rule, and judges are less likely to grant bail to those who fight the charges. Legal experts say this is all a strategy to secure a confession and make a trial easier. In Ghosn’s case, the judge at a Jan. 8 hearing said his continued detention was due to flight risk and the risk of witness or evidence tampering. Ghosn holds French, Lebanese and Brazilian passports and has children living in the U.S. When he was finally freed on his third try, he had to submit to what his family’s lawyer called “very intense surveillance” and restrictions on internet usage. 6. What are his prospects? More time locked up. Under the Japanese legal process, prosecutors have 48 hours to detain suspects, after which they can make a 10-day detention request in court. That can be extended another 10 days if the court approves. An indictment is a sign that prosecutors intend to go to trial, which probably won’t start for months. Prosecutors have wide discretion in Japan to decide whether to go to trial, and tight budgets and a culture of wanting to save face mean they usually only pursue those they are sure to win. In 2015, a trial was requested for 7.8 percent of cases overseen by the public prosecutor’s office. That helps explain why more than 99 percent of cases that go to trial end with a conviction. In England and Wales, the conviction rate is 87 percent. 7. Has Ghosn been mistreated? In the video he looked thinner and grayer but strong. When he was first jailed, Ghosn’s wife Carole criticized what she called his “harsh treatment” and said he’d lost 15 pounds (7 kilos). She said the family wasn’t allowed to contact him and that he underwent hours of questioning daily with only limited opportunities to confer with his legal team. Two of Ghosn’s daughters told the New York Times in December that his cell was unheated, that he had asked repeatedly for blankets and that he had been denied pen and paper. While he was out on bail, he had restrictions on use of his mobile phone, could only use the computer at his lawyer’s office during business hours and had cameras monitoring the doors to his house. 8. What’s the verdict on Japan’s legal system? 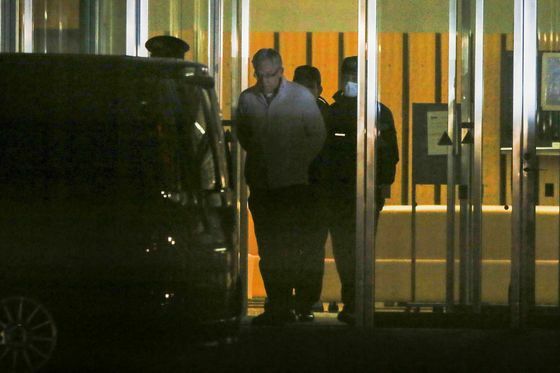 Maiko Tagusari, secretary-general of the Center for Prisoners’ Rights, said the Ghosn case has exposed “serious failings” in Japan’s criminal justice system. Critics say lengthy detentions and interrogations with limited access to an attorney can lead to false confessions, such as the recent case of a woman released after 20 years in jail. The UN Committee Against Torture has expressed concerns. Amnesty International said in 2017 that it had “raised concerns about the lack of rules or regulations regarding interrogations” during pre-trial detentions. The Japan Federation of Bar Associations has called for reforms including recording of interrogations. The Japanese government responded by noting its system requires “strict judicial reviews at each stage” to balance the human rights of suspects with the needs of investigators. 9. Is Ghosn’s career over? Nissan ousted Ghosn as chairman three days after his initial arrest. It has said its internal probe, sparked by a whistle-blower, was continuing. Smaller alliance partner Mitsubishi Motors Corp. also removed Ghosn as chairman in December. Renault and its most important shareholder, the French government, waited longer, citing the presumption of innocence. But on Jan. 23 Ghosn stepped down as chairman and chief executive of France’s largest carmaker. Renault in April said it had alerted French authorities after its investigation found some of Ghosn’s expenses “involve questionable and concealed practices and violations of the group’s ethical principles.” Renault and Nissan are also auditing Amsterdam-based RNBV, their joint subsidiary, with preliminary findings showing “serious deficiencies in terms of financial transparency” and spending control procedures. Ghosn lost his seat on Nissan’s board in April. 10. Who else has been charged? Nissan has been indicted for under-reporting Ghosn’s income and faces around $6 million in potential fines if convicted. The auto company said it would strengthen its corporate governance and compliance and file amended financial statements once it has finalized the corrections. Former Nissan executive Greg Kelly – known as Ghosn’s gatekeeper and confidant – was indicted for allegedly helping him under-report income but was released on bail Dec. 25. Kelly has denied the allegations through a lawyer. Ghosn wants to be tried separately from them. Japan’s Supreme Court outlines the criminal justice system. “I am innocent.” A statement by Carlos Ghosn. Ghosn turns to “all-star” defense team. A look back at Ghosn’s rise and fall and at how the global alliance he built is moving on without him. Ghosn’s one-time protege rolls back Nissan’s big China strategy. Bloomberg Opinion’s Anjani Trivedi says Ghosn has a point, and Joe Nocera includes Ghosn among the tragedies of 2018. A legal essay in the Japan Times about what Ghosn’s arrest says. An MOJ document in Japanese about the country’s correctional facilities.